It’s not easy to grab top headlines during a week loaded with Awards, label restructuring and a massive hurricane, but Taylor Swift is used to making the difficult look easy. This week the Big Machine international superstar became the first female artist of the SoundScan era to have two million-selling album weeks. Red scanned 1.208 million units this week. About 38% of that total was in digital format. (Swift’s Speak Now logged 1.047 million 10/31/10). The blockbuster marketing ballet which helped accomplish this exceptional feat will no doubt be discussed and dissected in label boardrooms across the country in the coming weeks. It included high-profile partnerships with Walgreens and Papa John’s Pizza plus dozens of other brands and a Nashville radio remote. Swift worked the tube tirelessly—Letterman, Good Morning America, The View, Ellen DeGeneres, Katie Couric and there were layers of social and traditional media. Dropping the album on Monday allowed an extra sales day. 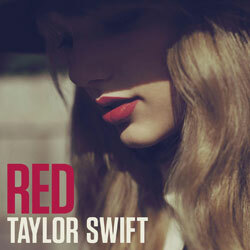 Orchestrated like a major movie release, the impressive Red marketing campaign has written itself into the music industry record books as a state-of-the-art album sales textbook. Swift also dominated across other charts. In the tracks department she scored 13 entries on Nielsen SoundScan’s Top 200 Digital Tracks chart and was all over the Digital Genre Country tracks chart (the country chart only lists some of her tracks due to Billboard’s recent decision to dictate what is and isn’t country music). The singer/songwriter also owned the Top 3 positions on the Top Catalog Country Albums chart. In the end, Swift’s dramatic showing plus week two for Jason Aldean (Country No. 2; 116k) and a holiday debut from Lady Antebellum (No 3; 25k) upped YTD country sales from last week’s -2.4% tally to a +1.4% adding a welcome dose of good news to an already event-filled week.